There’s a new beer in town. 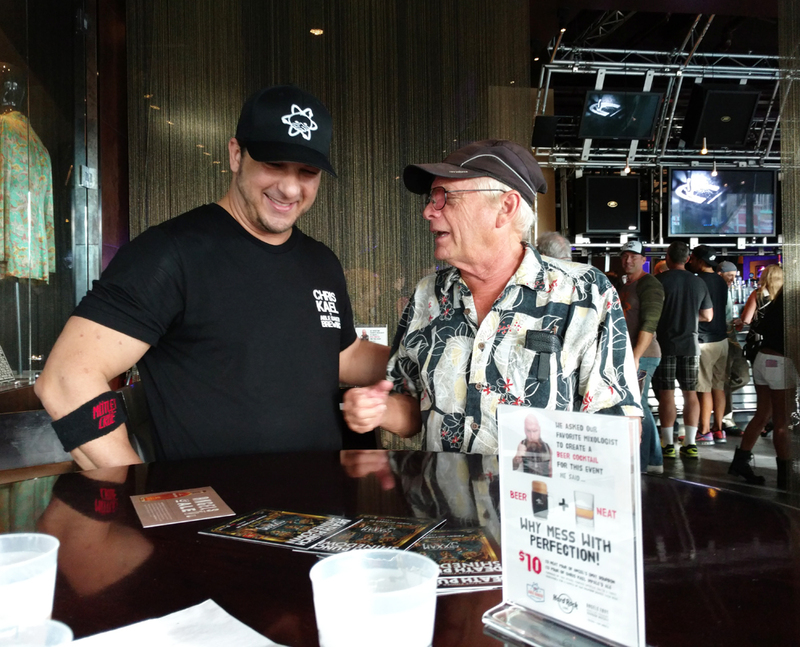 This is a refrain we’ve been hearing for a few years now as the craft beer phenomenon takes hold in Las Vegas. We’ve had Big Dog and Tenaya Creek for quite a while, of course, but Crafthaus, Hopnuts, Joseph James, Lovelady, and Bad Beat are new to the scene. So are the new beers offered under the PT’s label at all their pubs. We aren’t quite San Diego, where there seems to be a brewery on every corner, but perhaps we’re on our way. Able Baker is all Vegas. The name celebrates our explosive past — Able and Baker were the first two atomic bombs detonated at the Nevada Test Site. 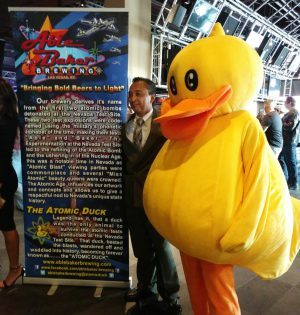 The brewery’s mascot is Atomic Duck, a tribute to the legend that a duck was the only animal to survive the atomic tests. Randy Rohde and James Manos are the visionaries behind the brand. 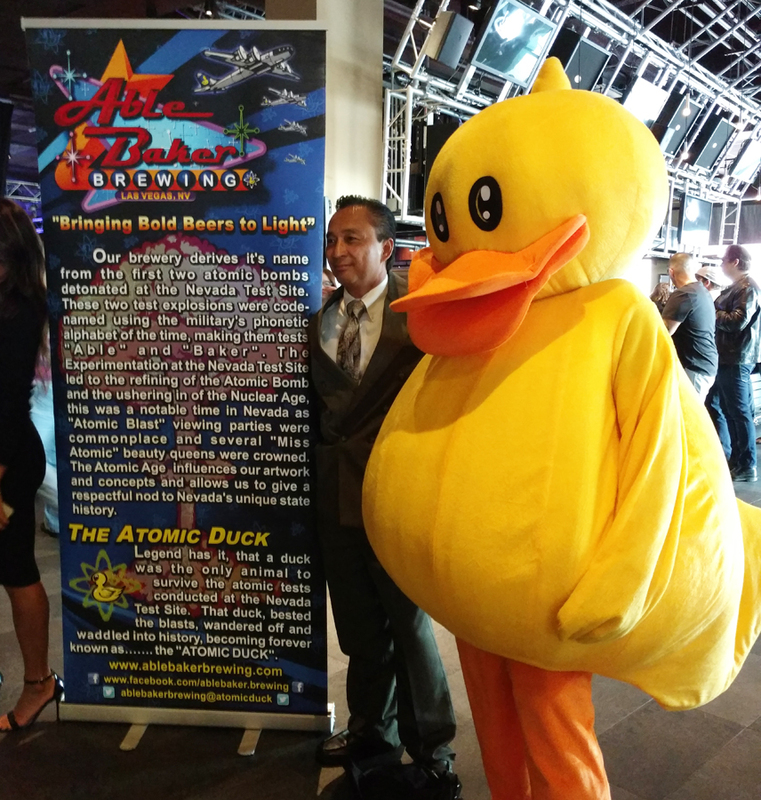 While all the beers I tasted were sophisticated and finely crafted, I especially liked the Atomic Duck IPA. It’s one of the most balanced I’ve tasted anywhere. Able Baker beer and Angels Envy bourbon, what a combination! While the brewery does not yet have a taproom, plans are in the works to open one, possibly downtown. 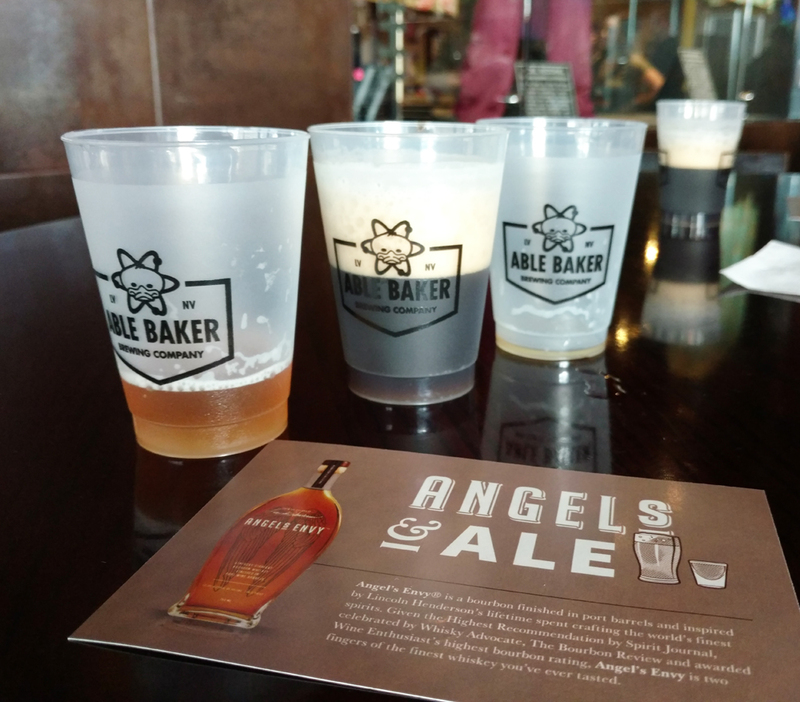 In the meantime, Able Baker’s beers will be on tap at drinking establishments around the valley. Check their site for locations, and be on the lookout for Able Baker’s cool retro logo. One of the cool things about this tasting, was that they supplies bits of flambéed sugar as a chaser for the Honey Dip Stout, which was quite interesting. In fact, this is the first stout I’ve tasted that “actually” tasted like Honey. Very nice. Weirdly, they served the Test Site Saison after the Honey Dip Stout — my taste buds couldn’t make the transition that easily. And we didn’t have time to taste the featured Chris Kael Impale’d Ale, but that Atomic Duck IPA was superb. The perfect blend of sharp hops and a sophisticated complex finish. Very, very nice. I still really like The Green Mojave IPA crafted by Hop Nuts, but this Atomic Duck is darn good! Chris Kael was at the party, standing with fans for photos. It was a quite an interesting event.